Authentically connecting with the local people in the countries we visit is a central part of why many of us travel. At Global Basecamps, we emphasize the importance of “know before you go” in regard to the economic, environmental, and especially social, aspects of our destination countries. Learning about these topics greatly helps us better know how to build relationships with both the traditional and more modernized citizens. Friendships across cultures is always a challenge, but what we could call “culture shock” can also be viewed as an invitation to enrich our lives and develop intercultural competencies, meaning ways we can effectively and appropriately engage with others amidst cultural differences. Africa presents these opportunities in abundance, and a Tanzania Safari in particular as we visit many indigenous people groups in rural areas. All of our hosts deserve the very best of our curiosity and respect, and this attitude is foundational to the responsible and sustainable travel we stand for as Global Basecamps. Come along as with us we share tips on cultural etiquette in Tanzania. The people of East Africa, including Tanzanians, tends to be very conservative, polite and humble. Do your best to follow their example and all of your interactions will unfold that much more smoothly! This diplomacy will lead to an openness that will add greatly to your trip, from the safari on the Serengeti savannas to the slopes of Kilimanjaro and beaches of Zanzibar. Keeping in mind our role as a visitor to another culture, and an ambassador of our own, is crucial in putting our best foot forward as we travel. We are in a position to make friends for life, or just be another tourist passing through – which do you want to be? The Republic of Tanzania, formed in 1964 as the land east of Lake Tangyanika and the Zanzibar Island Archipelago were politically united, is home to approximately 125-130 ethnic groups classified as indigenous peoples. 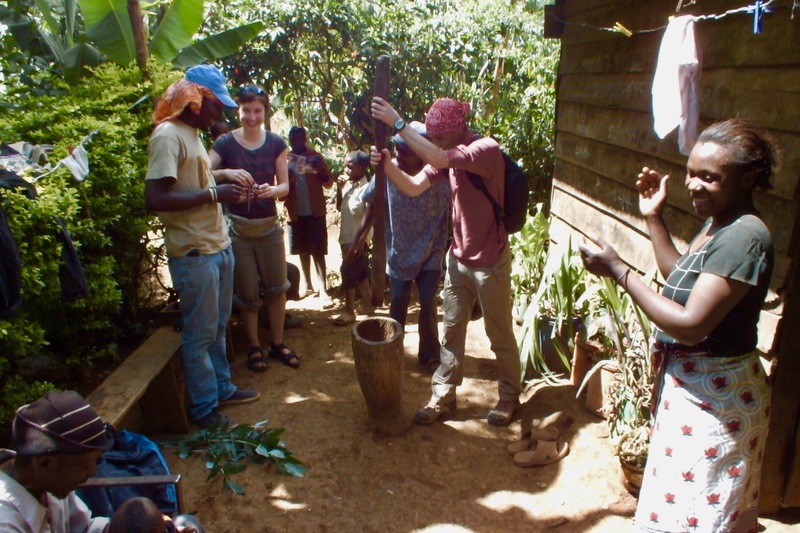 The two you will see most commonly interacting with travelers (known affectionately as mzungu), are the Maasai and the Chagga peoples of the Kilimanjaro region. 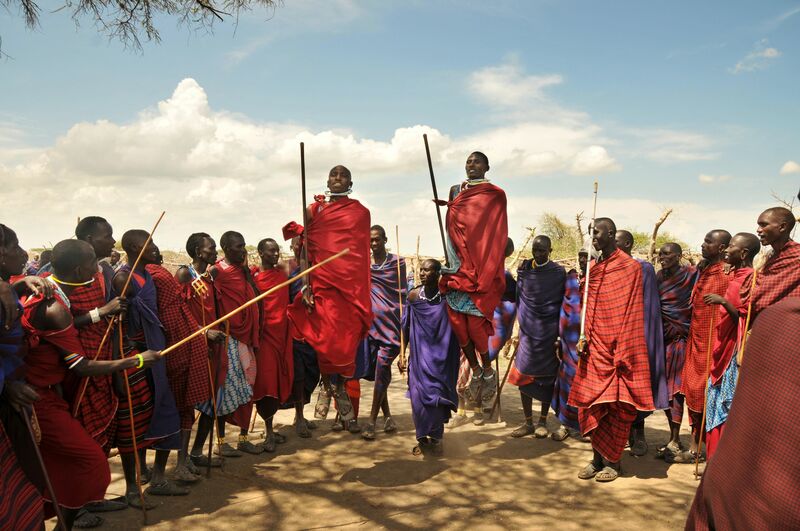 The Maasai tribe are taller in stature from the Nilotic people groups, and are traditionally semi-nomadic keepers of cattle herds in the savannas west of Kilimanjaro. 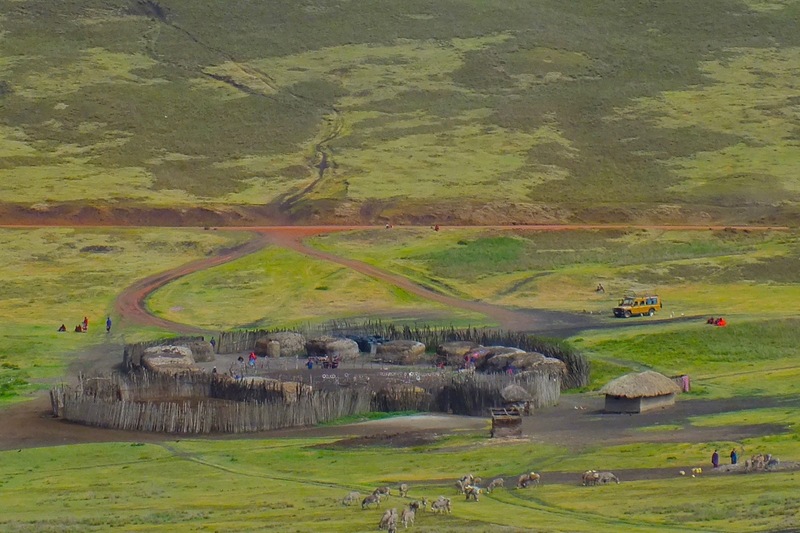 The more stoutly-built Chagga tribe of the Bantu people groups traditionally are farmers, maintaining their famous “homegardens” forestry systems on Kili’s southern slopes, where scores of crops varieties are grown that support the tribespeople and wildlife. 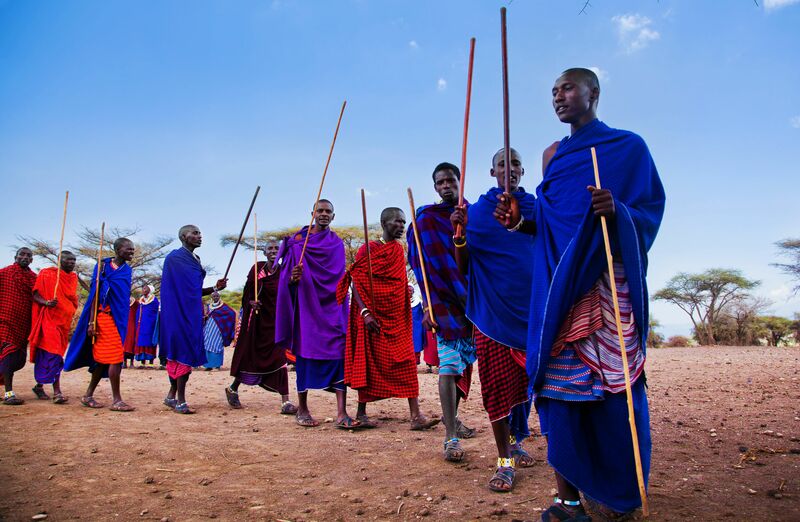 The Maasai have faced more political challenges regarding land rights, and many work in the tourism industry as cultural interpreters or security guards. 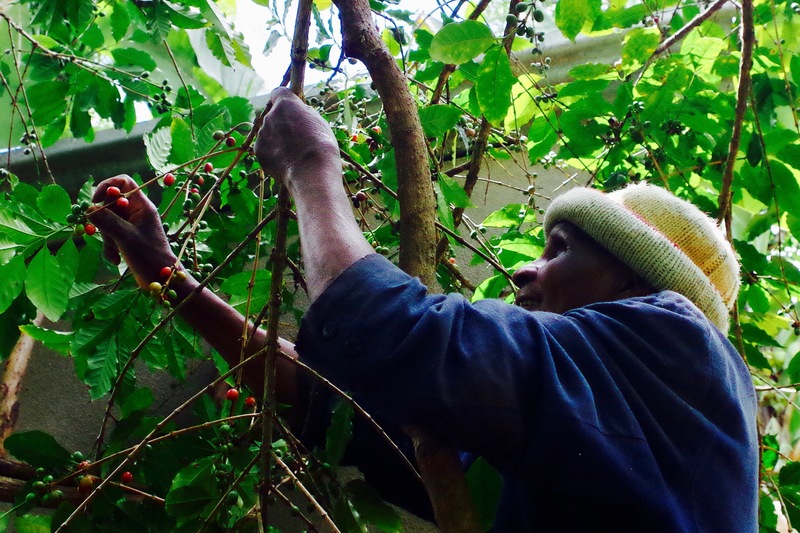 The Chagga have more diverse economic activities; though many continue farming, others are porters for Kilimanjaro climbing business or run other enterprises with great success. Though nearly everyone in the country speak the main official language of Swahili, English is commonly spoken as well, especially in urban areas and tourism hotspots. There are excellent free online resources available, as well as books and even private tutors, that can help you get going on the basics and beyond. As a rule, Tanzanians dress conservatively. Pants are the norm for men and women, and tank tops and uncovered shoulders (especially on women) are taboo. If going to beach areas on your trip, be sure to only wear swimsuits in areas frequented by travelers, and to cover up as soon as you leave the beach. Once you are in-country, you’ll have the chance to begin connecting with the locals. You will find that just about everyone you pass by as you walk along will acknowledge you with a greeting, and replying with a friendly “jambo” (hello) is appropriate for most situations when greeting a peer or younger person. Tanzanians are very conscientious about age meaning status; elders should always be treated with the utmost respect, greeting them with “shikamoo” (from the Bantu root language “I touch your feet”), to which they will often respond “marahaba” (“you have my blessings”). 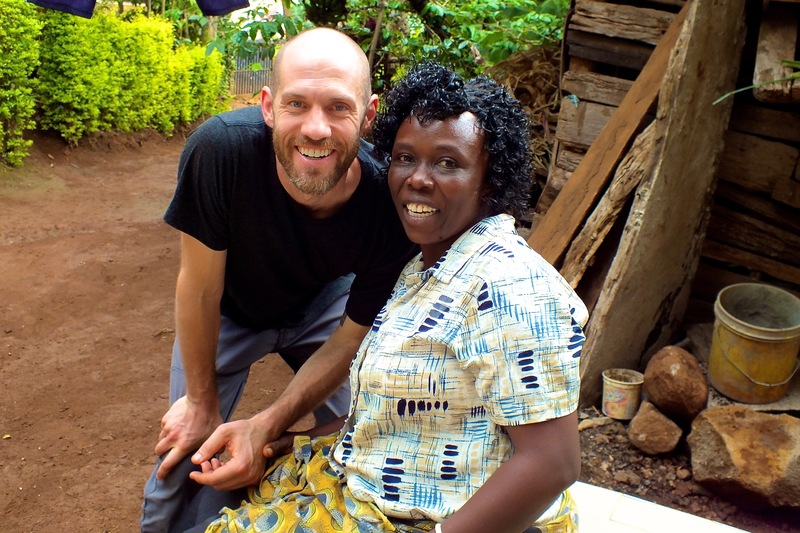 In a place where one will greet an adult woman, especially one older than you, as “mama” (yes, “mother”) and a male of similar age as “bwana” (sir) or “baba” (father), you can rest assured that you are in a place where a theme of familial kindness is paramount! While on a Tanzania Safari, handshakes are extremely important in social etiquette; many Tanzanians continue to hold hands throughout the entire conversation. Something to keep in mind is that the right hand is mostly used for eating where as your left hand is usually used for toilet duties. Try your best not to pass things with your left hand if possible, and when receiving an item from someone, receive the item in your right hand only or both hands. The caveat to these affectionate displays is that romantic interchange such as kissing is strictly private and kept out of sight. Capturing beautiful moments on camera is a high priority for nearly everyone that visits Tanzania, and should be done with respect and discernment, especially with more traditional people. While taking photos of wildlife can of course be done freely, it is always best to strike up a bit of conversation with those you will photograph when doing so in any kind of proximity to them. Do not take opportunistic photos of nearby people from your safari vehicle, but do make courteous use of places like Maasai cultural bomas (tourism villages). These and locations recommended for photography by your lodging and guides that are distinctly oriented towards visiting travelers. Tanzanians greatly value and respect the person who cooks the food. One rule to keep in mind is to not smell your food. Smelling your food indicates that the food is bad and so is the cook. In general, smelling anything implies that it is rotten or smells unpleasant. When offered food or drink in someone’s home don’t refuse, as this is considered rude. Take a small portion of it even if you are not hungry or thirsty. The country of Tanzania is renowned worldwide not only for its natural beauty, but also its cultural diversity. Many visitors have not only the experience of a lifetime viewing its wildlife and natural splendor, but also building warm and lasting relationships with the local people. 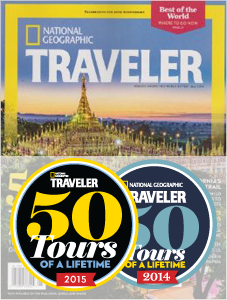 Find more about Tanzania’s people and history, as well as cool travel info, here.